The majority of people using Google on a day to day basis know little about the additional search tools it offers to enhance the findability of content. And unless you are a keen search marketer, you can often miss the smaller updates Google makes to its search interface. If you’re a blogger, copywriter, social media or PR professional, harnessing the power of Google will be a critical part of your daily working lives. To facilitate this, I’ve listed 3 “hidden” Google tools to make your search experience even richer. Google’s search operator define: [search term] has been around for donkey’s years. 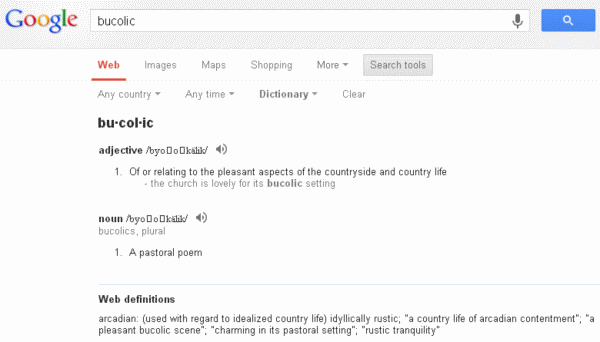 If you don’t already know, it allows searchers to quickly see a definition of words or phrases. Here’s an example of it in action. In the last few days, Google has pushed out a further upgrade to their definitions user interface, adding additional data including: an expandable box with synonyms, word usage and origins, translation options and use over time. This update doesn’t appear to have cascaded to Google.co.uk yet, but check out the example below. Google also provides a dictionary tool (by clicking on “Search tools” to the right below the search field and selecting “Dictionary” from the “All results” dropdown). The Google reading level tool is another gem in the Google arsenal – but again little known. It gives you the option to filter results by basic, intermediate or advanced reading levels. The example below illustrates a search for “how does a volcano erupt”. It reveals a broad cross section of results including basic, intermediate and advanced reading levels. Clicking on any of these will reveal the results for that reading level only. A more niche or expert search term such as “nuclear fusion reactor” will produce a greater proportion of advanced results due to the nature of the subject. Google’s reading level filter is particularly useful when you are searching for content. For example, my 10 year old daughter was asked to write a short piece on volcanoes for her school homework. Given her age, her search needs will be far more basic than those of a scientist searching for geology or physics white papers. As Google continually hones it’s semantic understanding of search terms, nowadays when you carry out a search, you don’t always get results at face value; spelling mistakes will be corrected, personalised results will appear, results will increasingly appear for synonyms of your search term and modified words (such as “train” and “training”) will be included in the results. 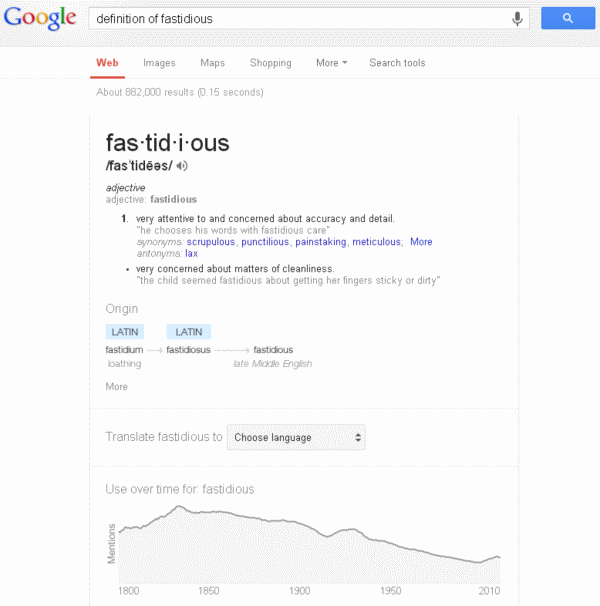 In most situations, we consider this to be a useful feature from Google, especially in the fast paced world that we live, where spelling mistakes in searches are abundant and abbreviations and colloquialisms are spawned almost daily. However, there are times when we’d prefer to only see literal or verbatim results for a specific search term in order to bypass Google’s interpretation of a search term which could distort its meaning or could provide content that you weren’t originally searching for. For example, Verbatim searches are important for researchers, journalists and social media professionals all looking for literal searches without corrections or synonyms. If I’d like to research highly specific products names that Google auto corrects, or misspelled brand mentions in conversations, Verbatim offers that facility.